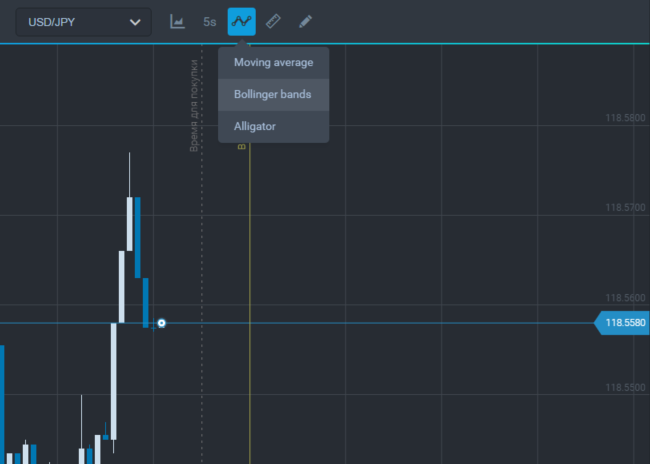 Bollinger bands are easy to use and can replace trend channels as the indicator shows the range where the price mostly moves. 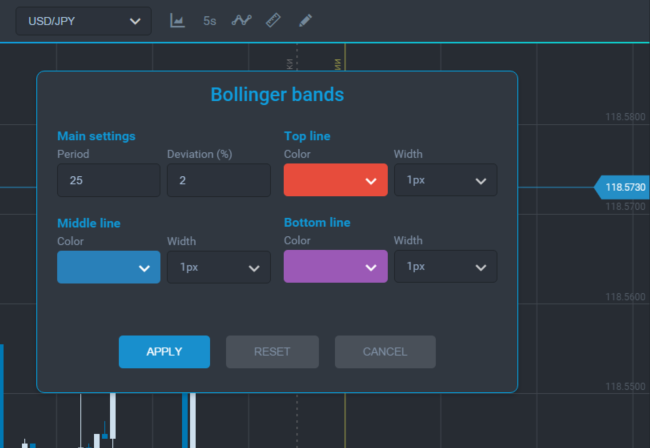 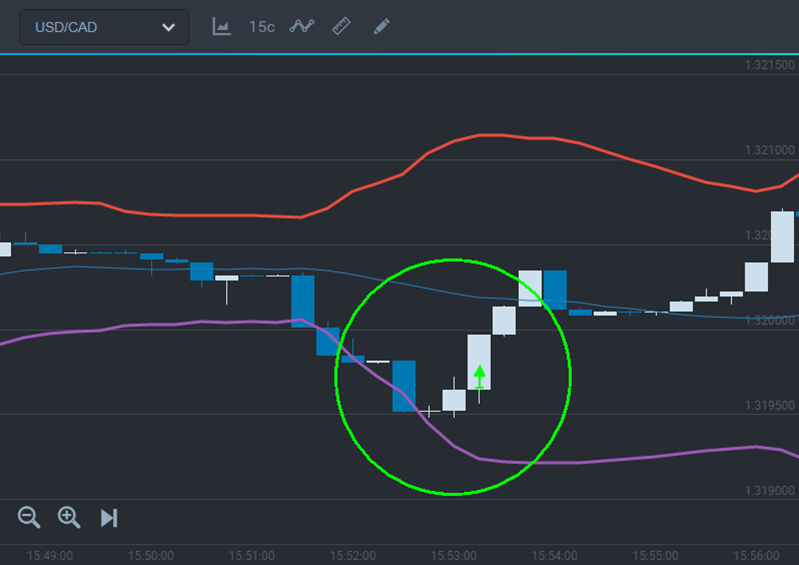 Working with Bollinger bands you can use a signal: when the price sharply breaks the band it tends to return back to the central indicator line. 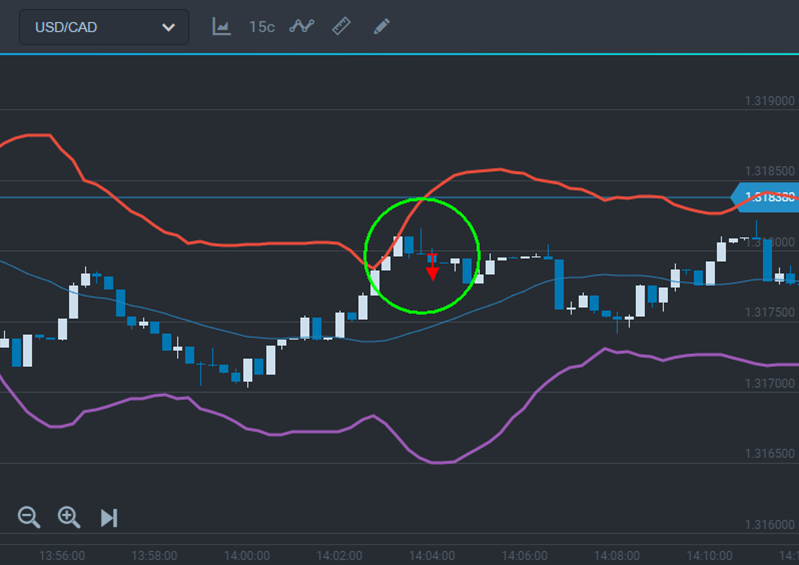 The upper and lower Bollinger bands can be used as the levels of support and resistance. 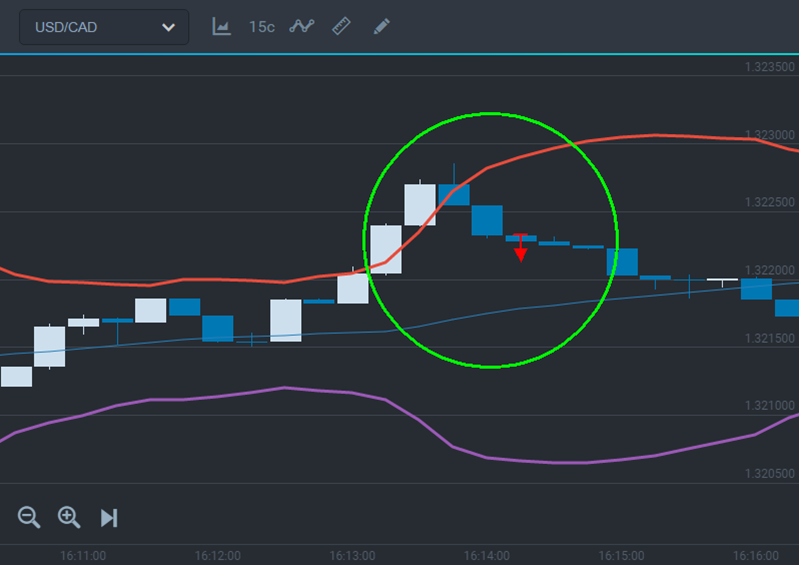 3) Wait for a confirmation and trade directed towards a central indicator line.